Owner and Head Coach of Team Triumph Triathlon Club. 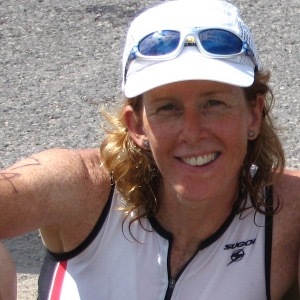 Coaching newbies to elites, Tri-A-Tri to Ultraman for over 15 years. Certified Exercise Physiologist, NCCP Level 1 Triathlon Coach, Swim Coach, NCCP Level 2 Technical Road Cycling Coach and Training Peaks Course completed. Certified fitness appraiser, personal trainer, Yoga instructor and Total Immersion swimming inspired. With over 25 years of experience in coaching and teaching fitness I believe that coaching starts with getting to know the athlete before creating a program. What is your heath history, what are your goals, how many hours can your realistically train, what is your fitness personality, how committed are you to your goals? Once we can determine the answers, the programs begins. Accountability is the most important part of your continued success. Be sure to include your workouts on Training Peaks so we can make important adjustments to your program as we go! Success. Coach Julia Aimers has been notified of your message.